With winter upon us, PJ Fallon & Son has a range of portable SIP space heaters that are ideal for use in for workshops and garages on these cold winter days. 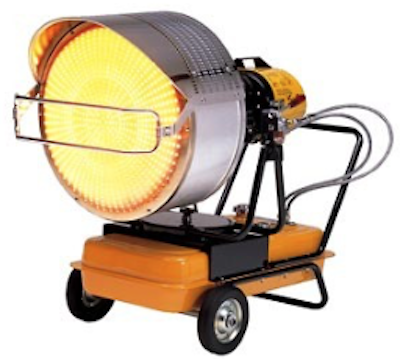 SIP offers a quality selection of mobile space heaters designed to be used as portable heaters for any industrial workspace. SIP understands how important it is to keep your environment at a comfortable temperature; That’s why SIP space heaters have precise and adjustable settings ensuring its space heaters transform both domestic and commercial surroundings into the ideal conditions. SIP space heaters are engineered to the most exacting standards; they are durable and robust ensuring high performance and durability. SIP’s stainless (rust free) space heater construction is available in different sizes and are suitable for both domestic and commercial heating applications. SIP space heaters are designed for all applications and can be fuelled either by paraffin or diesel, and are fitted with a range of safety features, such as automatic fuel shut-off.